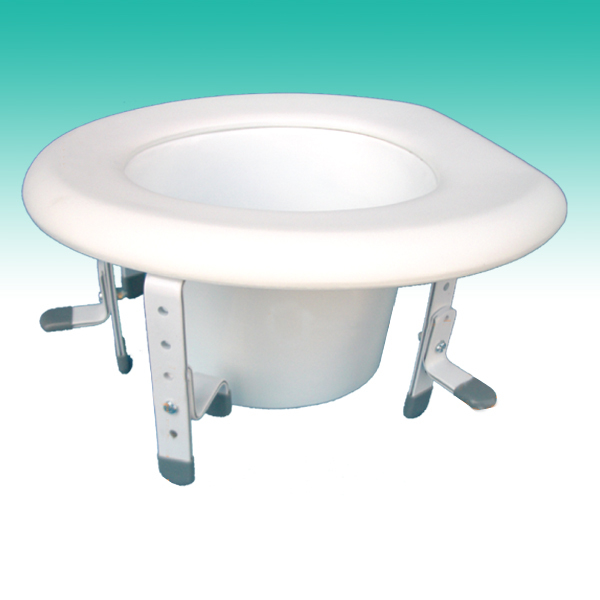 Knocked-Down Blow Molded Bathtub Transfer Bench is built with a light weight anodized rust-resistant frame. 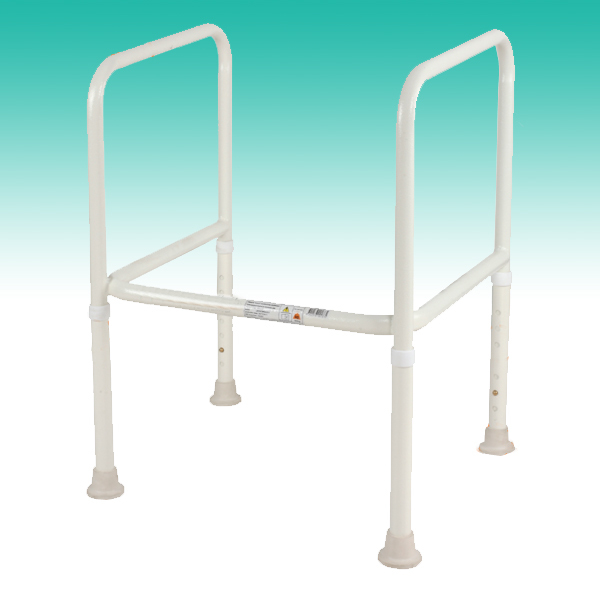 Nine (9) adjustments in 0.47 inch increments accommodates different tubs. 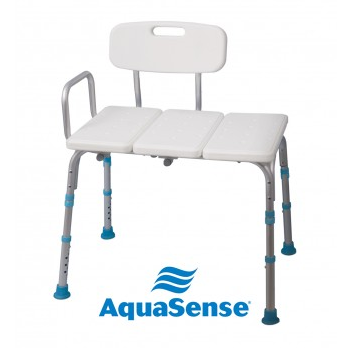 A removable push-button armrest supports transferring in and out of the tub while a textured molded seat and back prevents slipping and provides better water drainage. 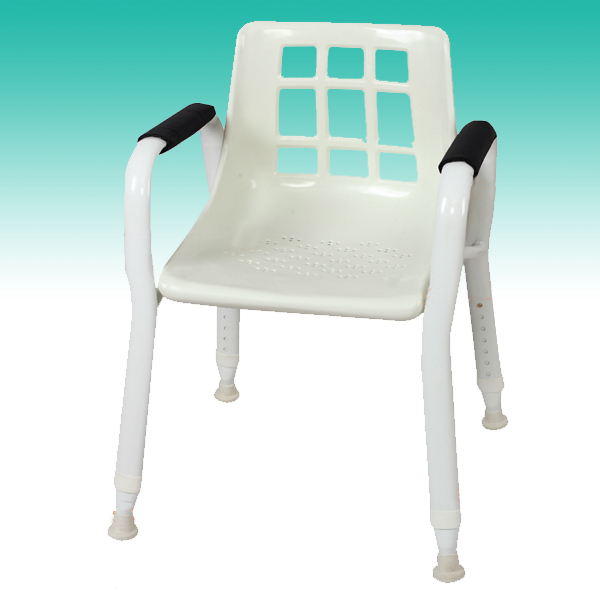 A reversible seat / back rest accommodates left or right transfers. 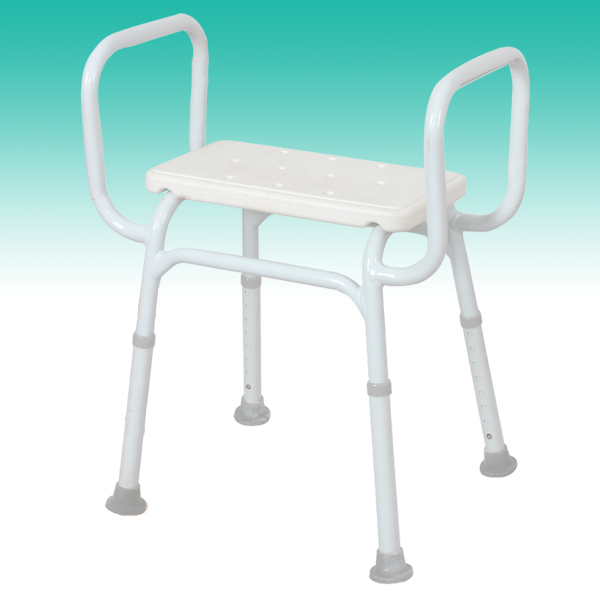 Slip resistant tips provide great traction and secure the bench to the floor. Easy, tool-free, push button assembly. Latex-free.